Picture from last year. First, we need to put our hide in place a couple of days earlier. When weather is supportive, meaning some minus degrees and supposed clear skies, we put alarms to ring at 2 am. We should be ready in the hide before sunrise. Usually the displays start just around sunrise and will last about 2 and a half hours. 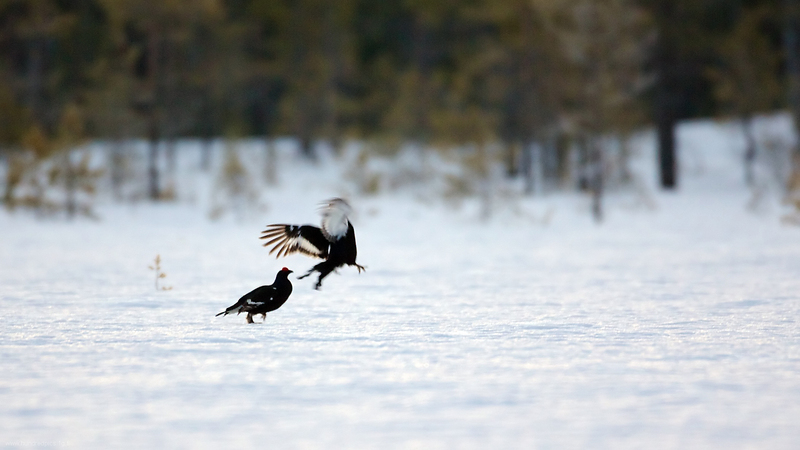 We know exactly where black grouses fight but have only a hint where capercaillies are in their displays. I will report results of this project as it folds out.